If you need a full service auto repair shop in Delaware County, you need McGarrity & Moser. Located in Havertown, we offer competitively priced repair services to our loyal Broomall customer base. We have been in this business for over 60 years. 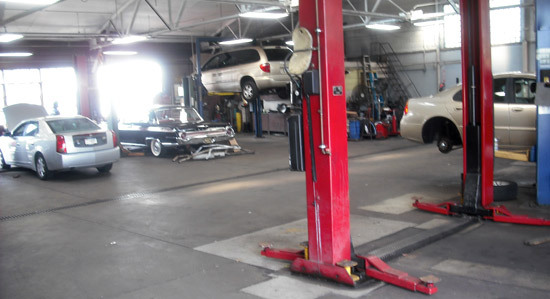 We provide Delaware County auto repair services in our Havertown shop. We often receive customers from nearby Upper Darby and Newtown Square. For more information on these services, visit our auto repair services page. We offer a 12 month or 12,000 mile warranty on most parts and labor. Our technicians are equipped with and trained on the latest technology so not even computerized vehicles pose a problem for us. We also provide repairs on all makes and models, as well as perform fleet and truck services. In addition, our staff can perform PA state inspections. McGarrity & Moser is the local shop to trust with your Broomall auto repair. You’ll get professional, quality service at an affordable price. Contact us today to schedule your appointment.